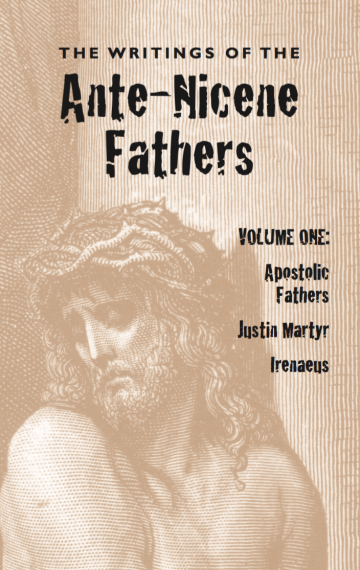 THE ANTE-NICENE FATHERS are the writings of the Church Fathers from the first century to 325 CE. It is a collection of books in ten volumes containing most of the earliest writings of the Christian church. This is the classic translation edited by Rev. Alexander Roberts and James Donaldson, first published in Edinburgh, 1867. It appeared in the United States in 1885, with additional introductory material and notes by A. Cleveland Coxe.